New for autumn and winter 2018 – these sweet little oak leaf and acorn ornaments. 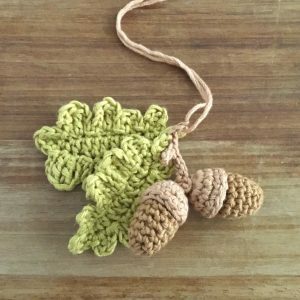 All my items are as sustainable as I can make them. 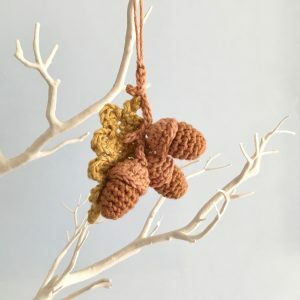 These oak leaves are made in are made in a combination of bamboo and wool yarn. The acorns are made from the small quantities of hand-dyed cotton yarn left over from my crocheted pangolin. 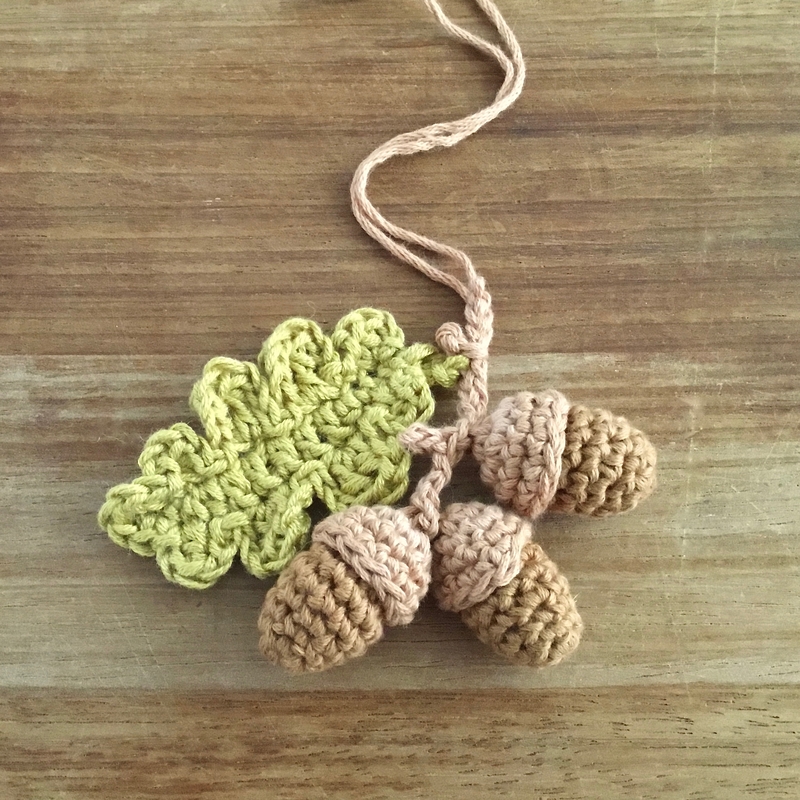 The 100% natural British wool stuffing inside the acorns is a sustainable, annually-renewable resource. 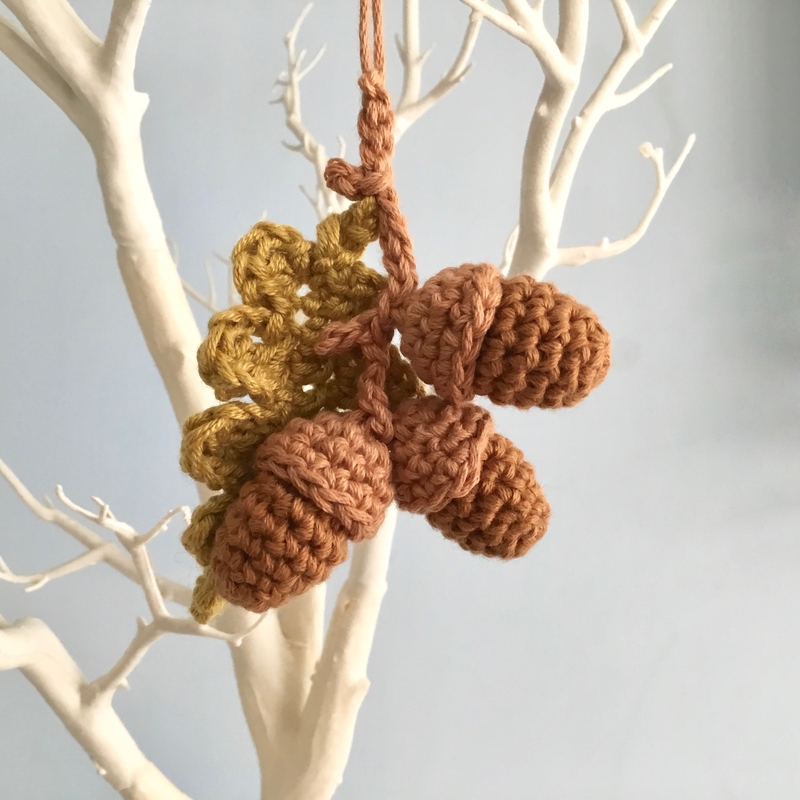 Since I am using up the cotton yarn left over from my pangolin project, there will only be a limited number of these available. 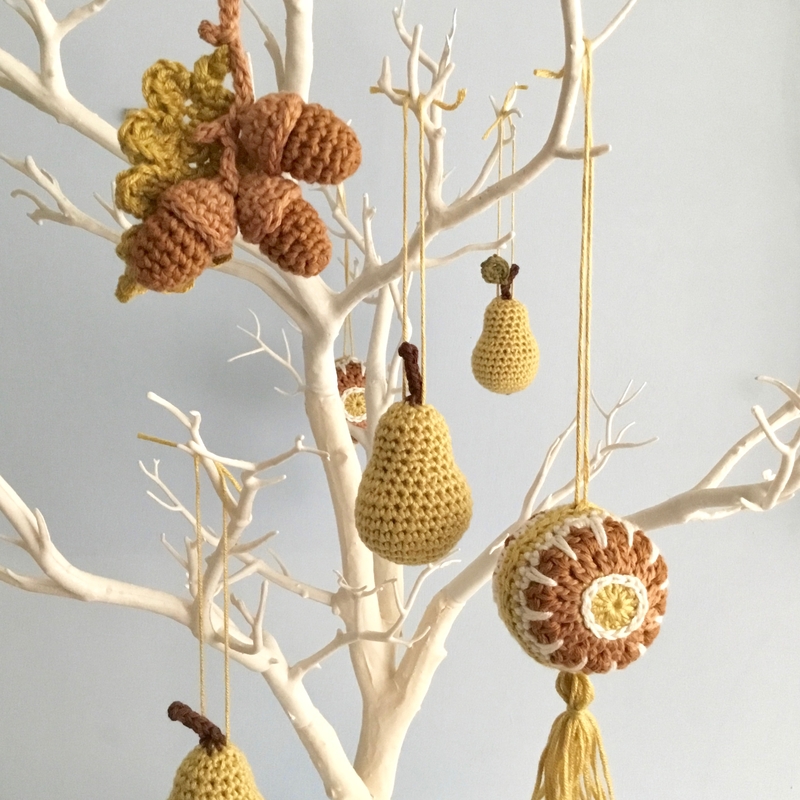 Find these oak leaf and acorn ornaments in my Etsy shop or drop me a line to order. Mix and match with my pear ornaments and other decorations from my full range of handmade Christmas ornaments.